DimensionsHeight: 22 in. (55.88 cm) x Width: 13 in. (33.02 cm) x Depth: 5 in. 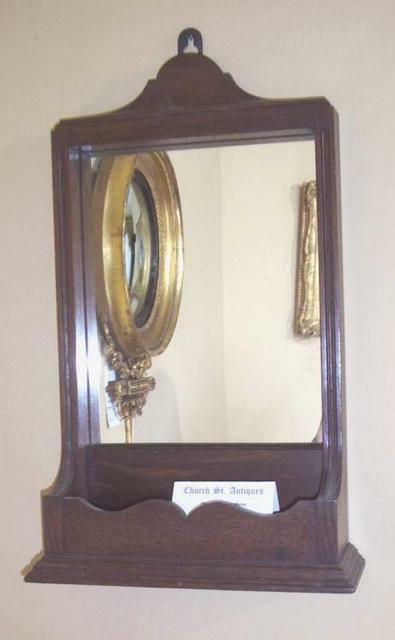 Description / Expertise: 1930's Oak Hall Mirror with Shelf. Ref no. 1879.